Families in the North Valley have a new option for kids play and birthday parties. Playgrounds Fun Zone and Café is a new neighborhood staple for families and friends to gather in Glendale. Playgrounds has expanded and opened a second location next to Fun Zone that is a 4,000 square foot competitive Nerf arena with plenty of obstacles and hiding spots. Playgrounds Dart Zone will now be Arizona’s largest indoor Nerf arena. We not only have open play hours with various fun games, but also have private party rooms that can be reserved for birthdays, graduation parties or group and corporate team building events. Our staff is comprised of experienced coaches, party hosts and referees, who will guide players from setup to game play and ensure that everyone has the best time. 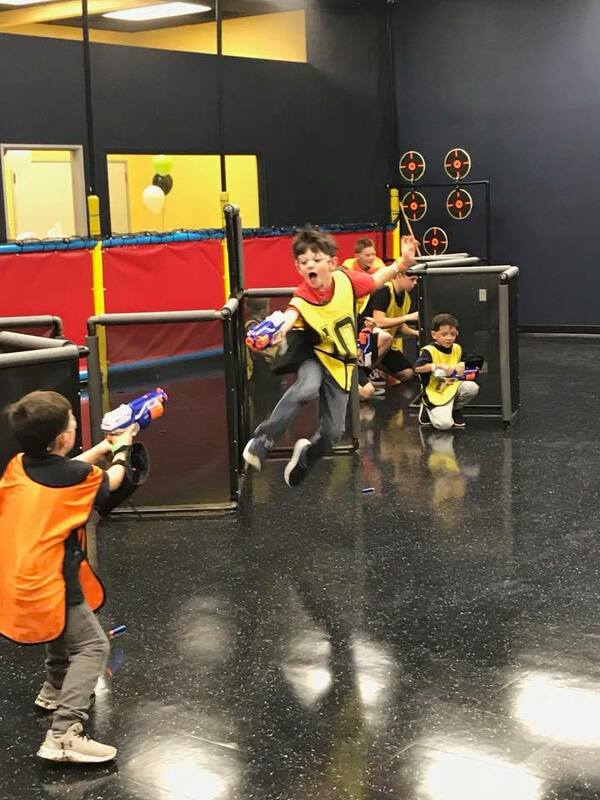 Our goal is to provide a fun environment where you can host your very own Nerf Wars, which is a great way to burn some energy, build teamwork and foster healthy competition. Kids and adults can choose from a wide range of game modes that offer various challenges and keep things interesting. Everyone can join the fun – from beginners to seasoned pros – since it’s rather easy to pick up. Playgrounds Fun Zone & Café opened in 2011 and since the doors opened, younger kids have grown up and grown out of the activities and play structures at Fun Zone. Therefore, it came time to look for appropriate for kids seven and older, and that is how the idea of the Playgrounds Dart Zone was born. With Playgrounds Dart Zone, the effort is to provide kids, adults, parents, and families a safe indoor arena where everyone can be part of the fun. It can be a friendly game between family members, fun rivalry between friends, or just plain shootout with strangers. The designed the arena and games such that all ages will have fun! For more information, please contact Playgrounds Dart Zone at (623) 533-3450 or log online playgroundsdartzone.com.